There were 28 million small businesses in the United States in 2017. Out of them, 22 million were individually operated, which means that they don’t have any employees. It is clear that entrepreneurship is considered a solution for financial independence and the opportunity to finally do something you really like. What is more, when you develop a small business, the future is always unpredictable. You can be successful and develop your business even more, or you can fail and close it after one year. So, you will need a business model to make sure that things will go in the right direction. It doesn’t matter how cool or unique your idea is, you will still need to make money to support your business. 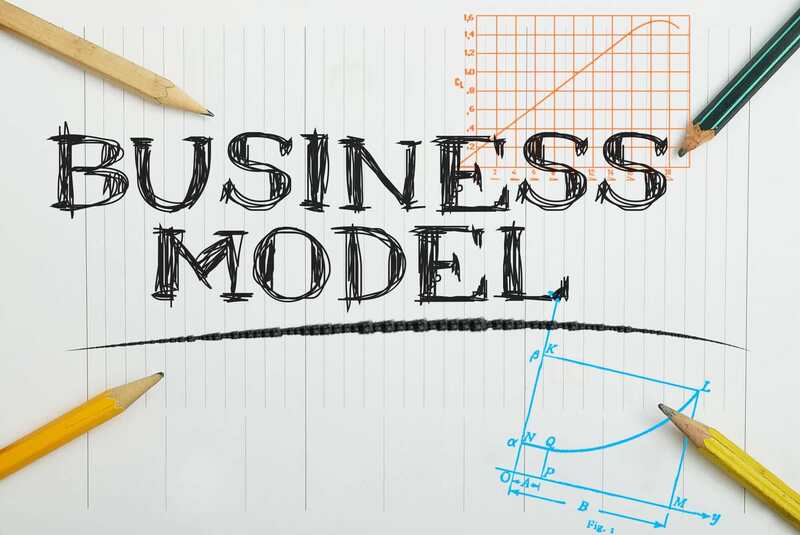 There are many business models which you can use as an inspiration and find the “recipe of success.” But, which is the best business model? Which business model is the best for your domain? Keep reading this article, and you will find the answer to your questions. Who Has the Best Business Model? A business model that continues to have success in today’s working environment is becoming a marketplace. All you have to do is just bring supply and demand together, and you are fine. Airbnb does exactly this. It helps people list, find, and rent single rooms, apartments, or houses for their trips. Everything can be done by paying a processing fee. Airbnb is a strong believer in the potential of the new “sharing economy.” The supply and demand are there. All you need to do is just find the means to meet them. Why can this business model work for you? First, you don’t have any inventory“>inventory. You don’t need to have an office to operate this business. You can even run your company virtually. In this case, you are the marketplace, which means that you will have zero manufacturing costs. Your work will consist of merely bringing the sellers and the buyers together. You facilitate the transaction and take a slice of the total. All the rest is done by the seller and buyer alone. Even though Linkedin is a large company now, acquired by Microsoft, a marketplace can be created in many niches and verticals. Consumers are shifting more and more to personalized goods. They want products that reflect their tastes and show their unique personality. Thus, this has become a successful business model many companies started to follow. For example, Coca-Cola added names on their soda cans producing a lot of excitement among its clients. What is more, Nike also has a special feature, giving you the opportunity to personalize your snickers. The examples can continue, but there is one valuable lesson you need to understand from them. According to Mashable.com, people are open to spending more on personalized products. They want products specifically created for their needs, so this makes them more open to paying for them. On the other hand, technology has evolved a lot and is very helpful nowadays. If you think that you will spend more time working on personalized products, you now have technology on your side to prove to you the contrary. On this blog, we also suggested how to follow strategies used by Amazon to get traction on your online store. Avon and Amway wouldn’t have chosen this business model unless they knew there is a big opportunity on this market. Direct selling is producing hundreds of billion dollars every year. For example, you can open a fashion jewelry business and use the direct sales business model. You can encourage talented students or people who need an extra income to join your website. They can sell their products on the website, using your infrastructure. They will pay you a commission for using it and create their own online store. If you think for a second at today’s working environment, you will see immediately why this model can be successful. The number of people who are looking for an extra income or some financial mobility is increasing. Therefore, this model continues to have a raising opportunity. What is more, you now have social media which helps your collaborators to reach out to their target audience and become well-known as merchandisers. So, this business model has no other option but to be successful. An interesting case study we covered is how ConvertKit was able to grow to over a million MRR with a direct sales business model. The key is consistency and to make sure not to lose opportunities. For that, you don’t necessarily need a complex customer revenues management system, but a simple Trello board would work. Above, you can see the Trello Board, Nathan Berry, founder of ConvertKit used to keep track of its contacts. We are living in an on-demand economy. It has made people asking for more convenience, speed, and simplicity. Uber is a successful example which has changed entirely its industry. It also offers constant work opportunities for consumers who are looking for a business model to help them become solopreneurs. Handybook is another example which offers on-demand home services. It is present in 26 cities and has recently raised $30 million which are going to be used to help grow the mobile engineering department. The aim is to become a “remote control” for their clients, helping them with an easy-to-use app to order services like cleaning or repairs. The on-demand market is at its highest potential of scalability, cost-effectiveness, and efficiency than ever before. Again, you can count on technology to leverage your start-up. What is more, you can cut costs by collaborating with freelancers who can keep your software updated and come with improvement proposals. Did you try “freemium” model? It is not hard to imagine where the name comes from. It is a combination of the words “free” and “premium.” This means that you will offer a basic service for free and ask for an extra fee when your clients want to receive a premium package. Linkedin is a perfect example of this model as it lets users share their professional profile for free, but it charges you if you want to obtain talent solutions or premium subscriptions. When you choose this type of model, it is essential how you create the free package. Your users should feel the need to ask for the premium model if they want more features. This doesn’t mean that the free version should be extremely basic. In fact, the free option should grow their appetite to use your services even more and pay a monthly subscription for the premium features. It acts like your best marketing tool to convince your customers they should pay the premium fee. PickWriters, one of the largest translation companies, uses this business model to promote its translation services. You can try the 30-day free trial and so make your clients more comfortable first to test your solution and then pay for it. You will see that they will feel more comfortable to pay the subscription after the free trial period. You can see in the example above how SumoMe offers the service for free and then leverages on “powered by SumoMe” to make its product viral, thus using the free product as a marketing device. The models above have been tested and proved to generate revenue. When you choose the business model you want to follow, it is essential to connect it with your clients’ personality traits and interests. You should also make the best use of technology as it will help you move your business forward.